Beauty Insider Event: Up to $25 Off Your Purchase! 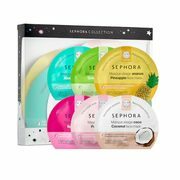 Sephora Sephora Beauty Insider Event: Take Up to $25 Off Your Purchase of $75 or More! Beauty Insider Event: Up to $25 Off Your Purchase! It's time to stock up on all things beauty, because the Beauty Insider Event it now on at Sephora! Not sure what your current status is? You can check your profile online, or check this page to find out. If you're not already a Beauty Insider, you can sign up for a free account online, and start earning points towards beauty freebies! There are a few restrictions to this offer, as customers are only allowed to purchase 3 Drunk Elephant and 3 Tatcha products per transaction. The discount does not apply to Dyson and Morphe products, customizable sets, gift cards, packaging, or taxes, shipping, and handling. You cannot combine this offer with other offers or Rouge Rewards. These offers are valid online and in-store through December 11 for Insider members or December 12 for VIB and Rouge members. Online orders over $50.00 ship free. Sephora: Free Samples for Beauty Insiders Including Items from tarte, Kat Von D, and More!